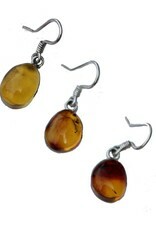 Amber (ambar) set in sterling silver earrings wires. 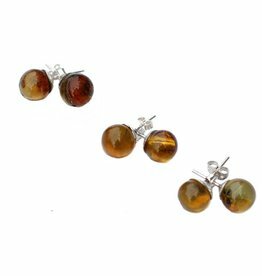 Amber is not a crystal or stone, it is a fossilized tree resin organically produced from trees and fossilized over time. 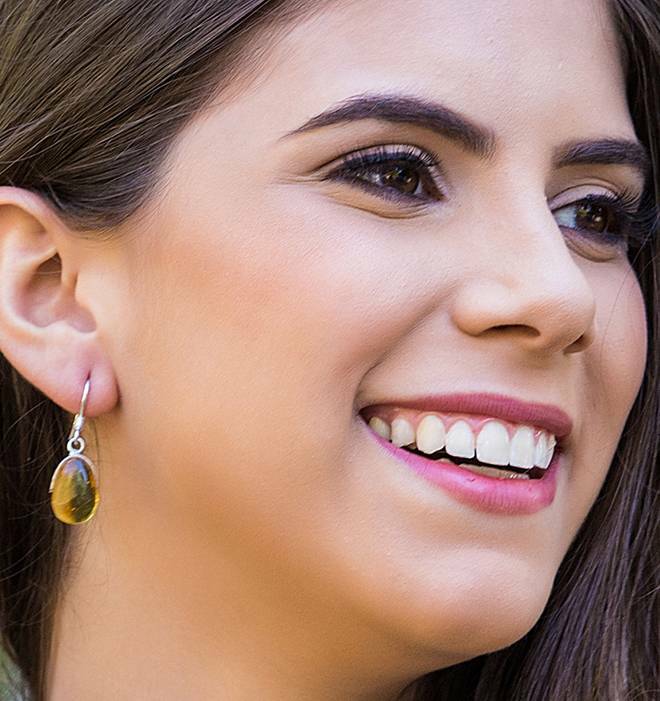 Its colors range from fluorescent yellow-orange-brown tones although in the Dominican Republic there is a rare blue tone amber as well. 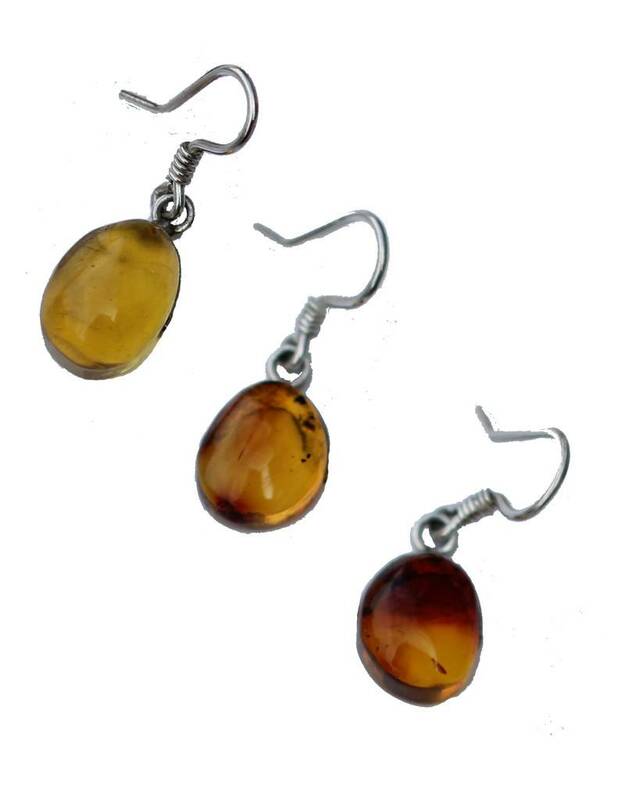 Dominican amber are considerably younger than other varieties commonly found in the Baltics. Natural inclusions occur during the fossilization process of whatever had come in contact with the resin. Often we see mixed colors or small spots of earth, plants or insects that were preserved. 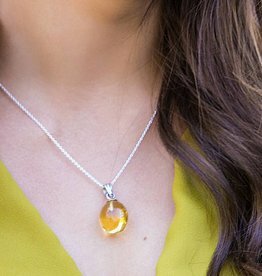 Amber is believed in alternative healing practices as a natural purifier for its ability to draw pain and impurities from the body (as well as mind & spirit) by absorbing negative energies and transforming them into clear positive energy. 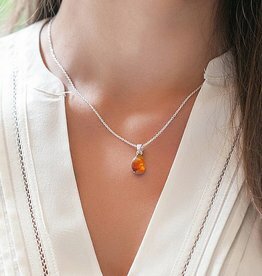 Amber is said to be useful for cleansing and reactivating the chakras. It is also believed to provide a protective shield against negative energies.